Our Company grew out of the ancient guild which regulated the wool trade. The first record of its existence was when it was fined by King Henry II for operating without his license. This was in 1180 so it is safe to say that we are well over eight hundred years old – somewhat older than the office of Lord Mayor itself! Although Henry II is remembered for his deadly friendship with Thomas Beckett his Archbishop of Canterbury, nevertheless he was responsible for organising England (then still more an occupied country than a kingdom) and he established much that we take as part of our life today. It was natural that the king would wish to regulate the ancient guilds some of which pre-dated the conquest of England by his Norman great-grandfather, William, in 1066. For hundreds of years when wool prospered so did England. Consider for a moment the great Wool Churches. The reverse was also true. When wool suffered so did the nation. So concerned was Queen Elizabeth I about the wool trade that she had Parliament make everyone over the age of six (except the wealthiest) wear on Sundays “a cap of wool knit and dressed in England”. Under Charles II Parliament passed a law requiring coffins to be lined in fleece and shrouds to be made of wool. Later, carriages had to be lined with it. Perhaps much of the interest of successive kings lay in the substantial taxes they raised on the sale of wool. Wool was weighed on a Great Beam one of which stood close to where Mansion House now stands in the centre of the City. The measure – or staple – was a uniform weight which governed exports to Europe – an early example of European standardisation! Some of the taxes went to build Old London Bridge which was said to have been built on sacks of wool. So the life of our Company runs like a long woolen thread woven into the history of England. 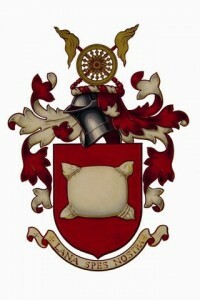 The association of the Guild of Woolmen with taxes and with licensing the most important woolmongers brought an association of the Company with the Law and lawyers which continues to this day. The Lord Chancellor sits in the House of Lords on a Woolsack as everybody knows. A woolsack has long been a symbol of the wealth of England. From the very start many distinguished people have been members of the Company. Among the earliest was Martin Box, sheriff of London in 1283-4. We have produced at least three Lord Mayors of London. Most have been active in the Wool Industry and that tradition continues to this day. Perhaps the most distinguished member of our company in all its many years was our Master in 1994/5, HRH the Princess Royal. Throughout its long years the Company has been immersed in the wool industry and this remains its most important activity. We have links with the industry throughout the Commonwealth. Our international interests go back at least to 1609 when the company, along with 54 others invested in the colonisation of the State of Virginia USA. In like manner the Company took part in the “plantation” of the County and City of Londonderry a few years later – this as part of a syndicate of companies led by The Salters – an association annually commemorated down to the present day. In 2014 we announced a major partnership with the Global Wool Industry by inviting three of the Industries main organisations to join with the Livery in the City Wool Project. You will find more details regarding CWP on this website. We are committed to bringing the skills and expertise of the Financial and Professional Services of the City of London closer to the companies in the $80Bn Global Wool Pipeline. 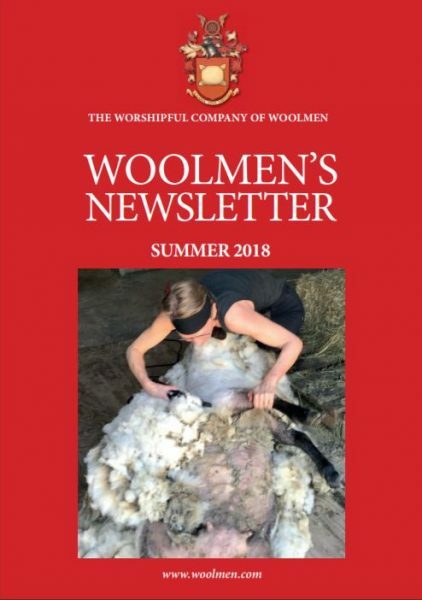 The Wool Industry organisations referred to above are The British Wool Marketing Board, The Australian owned Woolmark Company and the global Campaign for Wool which has His Royal Highness The Prince of Wales as its Patron and focusses on consumer wool promotion. Their membership and customer base is global from early stage processing, through production, product marketing and design to various consumer channels. Its prestigious membership stretches from multi nationals to entrepreneurs and start-ups. Wools environmental credentials make it just as relevant today as it was in the early 12th century at the early days of our Livery Company. We give scholarships for those studying wool technology and prizes at some of the most famous national agricultural shows for shearing. We bring leaders of the industry together informally to discuss matters of common concern. We are told we are also famous for the warmth of our hospitality although you would not expect us to comment on that! By custom every year the Lord Mayor dines with us in great state. Hundreds of years ago a wealthy merchant had the following engraved on the windows of his house. “I praise God and ever shall – it is the sheep hath paid for all”. “There is no substitute for wool”.